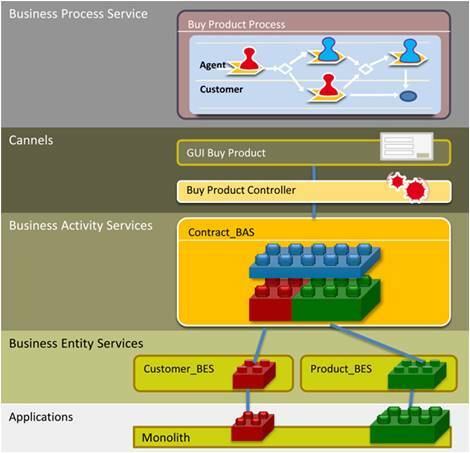 In this article, we present and explore the fundamentals of applying the factory approach to modern service-oriented software development in an attempt to marry SOA industrialization with service contracts. As service developers and designers, how can we successfully fulfill factory requirements and achieve the essential characteristic of industrialized SOA while remaining compliant with standards on the service contract level? Thinking in terms of contracts has been found to be requisite for granular sourcing strategies that virtualize underlying implementations. Contracts also function as a common language between business units and IT teams, across cloud computing technologies, and for future-proof and agile enterprises in general. Let’s imagine that today’s "pre-industrialized" world has become one in which contracts are been replaced by organizational and technical silos and the best solutions available. In today’s SOA landscape, functional components are created for specific applications, often redundantly and lacking organization-wide standardization at the interface level. These components work well in a "silo" landscape in which the "application SOA" architecture is particularly suitable within the context of single applications. Figure 1 illustrates the simplicity of combining services within applications that results from standardized design and structures being used as the framework for interfaces and exchanged data: Read the full article here.